BACK OF BOX QUOTE: "They do make them like this anymore!" 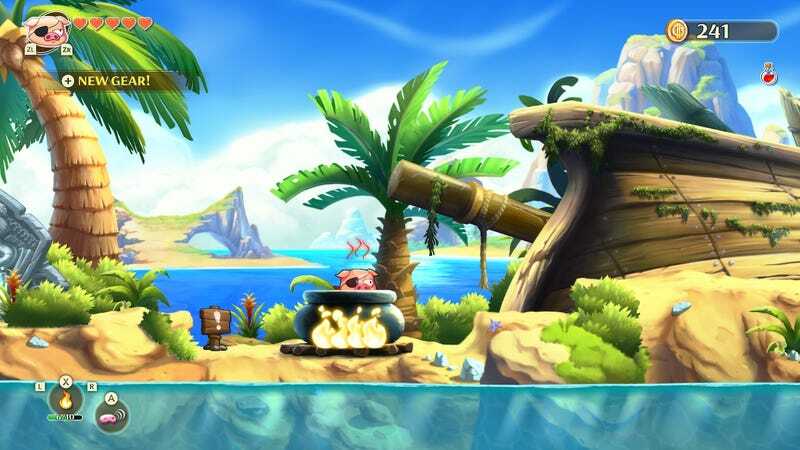 DISLIKED: When the jerk developers toss in an extra grapple point to fake players out. PLAYED: 10-12 hours of platforming RPG action, some of those hours spent recklessly charging the same area over and over again. Still got a bit to finish. But yes, I made it, and the sense of accomplishment was strong. 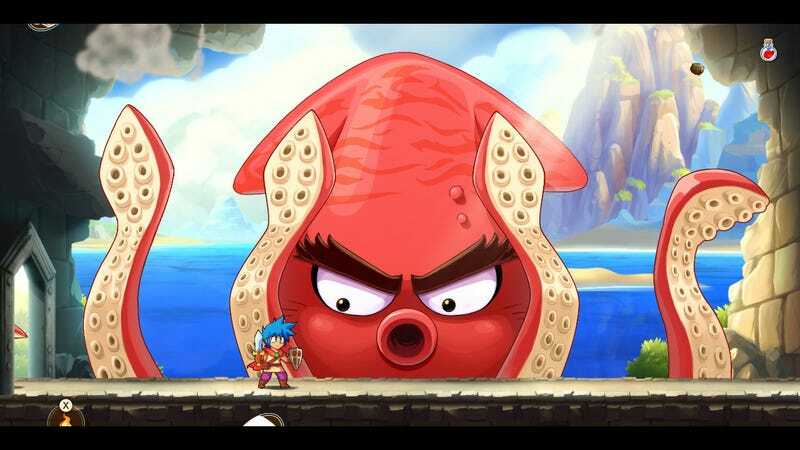 Monster Boy and the Cursed Kingdom is a game that does not shy away from challenge. 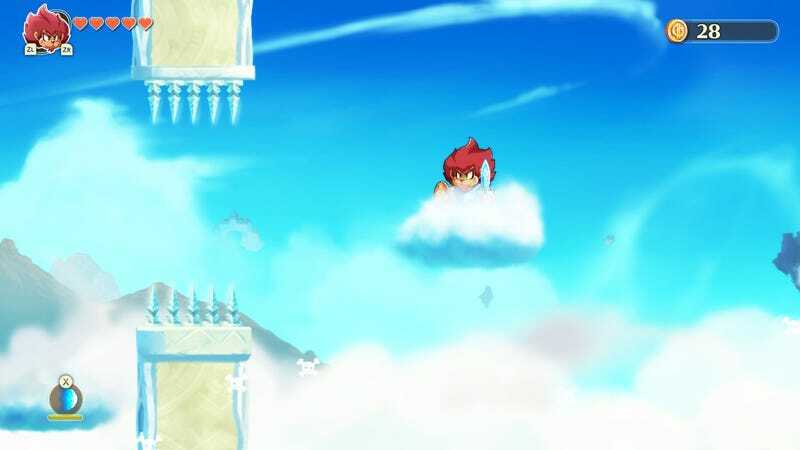 Some Metroidvania-style games get easier the more abilities the player unlocks, but Monster Boy takes the opposite approach. When Jin gets a new ability, marathon platforming sequences get even more complex. Charging in lion form through a level while deadly lava rises, transforming into snake to navigate a small maze of passages before changing to frog for a precision tongue-swinging sequence—it’s a rush. It’s good to play a game that gets harder the further you get.